During July 2012 my husband and I flew to San Juan, Puerto Rico, as the starting point for our week-long vacation in Vieques. 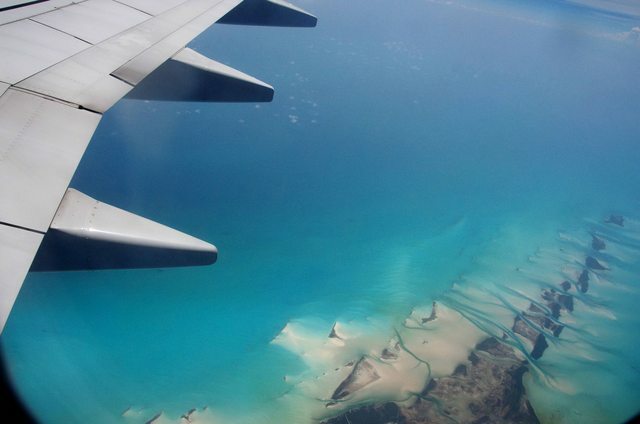 Every time we fly somewhere, I try to book a window seat so that I can stare out the window and maybe get a few good pictures or see something I’ve never seen. On our way to San Juan, we flew over an incredibly magical looking place — the water was the most gorgeous shade of blue, and there were TONS of islands. You could even see patterns in the water being caused by the current and the depth of the sea. I was sitting next to an unusually clean/clear window and was able to get some great pictures. I never would have imagined that I’d ever find out the identity of this magical land…until today. I’m so excited that my fifth blog post is about a something that was a distant memory until I stumbled upon a photo someone posted from NASA’s Earth Observatory website on Reddit. I immediately recognized the photograph because I, too, had taken pictures of it. 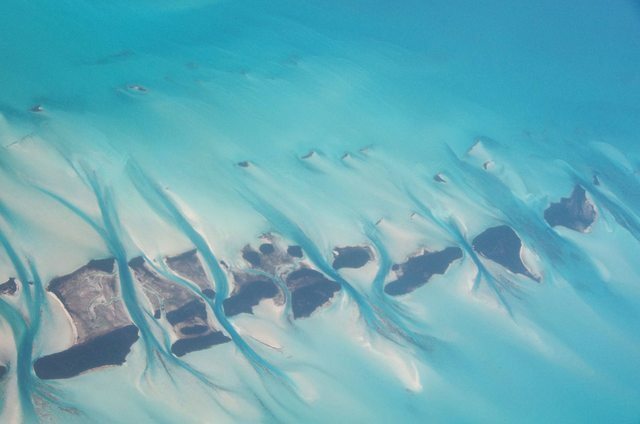 The area is called Exuma, and it’s part of The Bahamas. 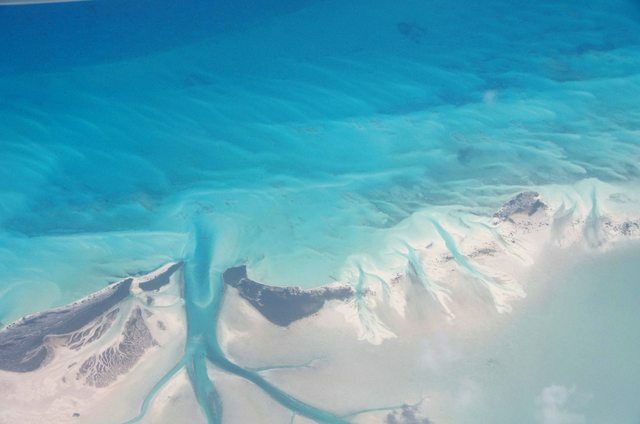 Exuma is made up of over 365 islands, called cays. 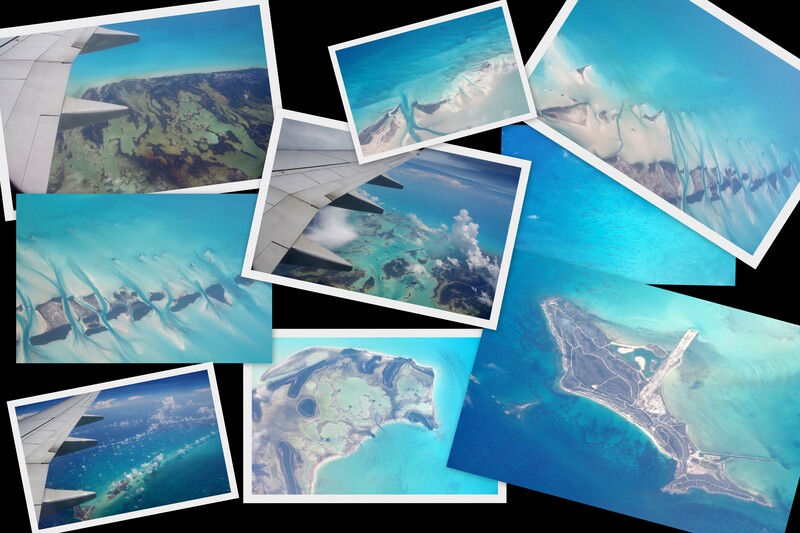 Here’s a link to Exuma on Google Maps. This photo is the one that immediately came to mind when I first saw NASA’s photos. I took numerous photos during this portion of our flight (and I’m sure that everyone who was sitting near me thought that I was nuts). Here are a few of my favorites. 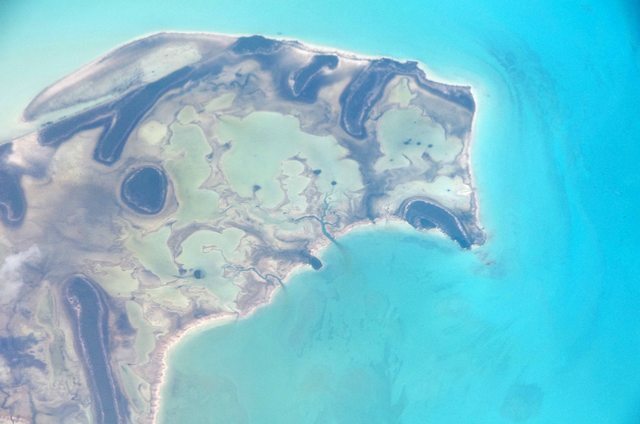 The island on the left hand side of this photograph is really intriguing. The long, white section that juts out into the sea is a runway, and there are several buildings to the bottom-right of the runway (in the light gray triangle-shaped area). There are also numerous roads on the island, but there don’t appear to be any vehicles, planes, or boats present. This photo is a great example of the varying depths of water in this area (the darker the water, the deeper the sea). You can also see how the depth of the sea affects the currents in this photo; I love the sense of movement that it gives the photo. 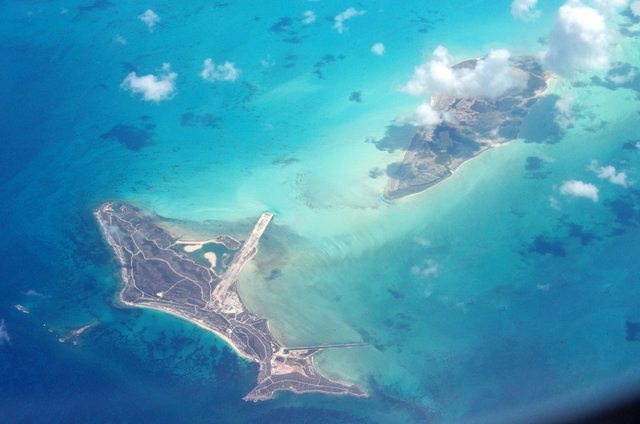 The island in the bottom, left-hand side of the following picture is called Bonefish Cay. 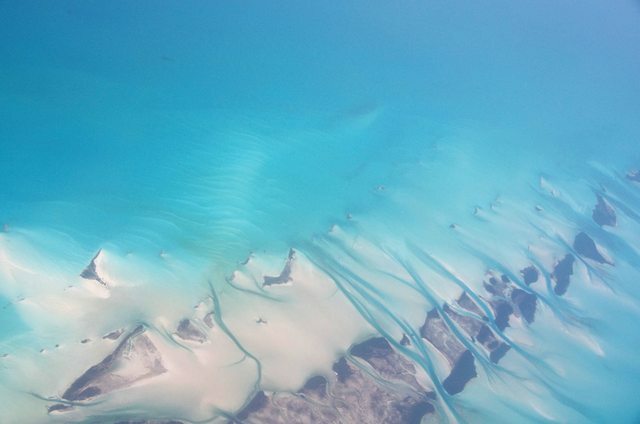 As the plane pulled further and further away from Exuma, I couldn’t pull my gaze away from the beautiful, crystal-clear, blue water and intriguing chain of islands. Maybe someday I’ll get to dig my toes into the sand on some island in Exuma.